Inspired by new trends, SFS has developed an extensive range of hinges for heavy entrance doors under the product family name of the Easy 3D. The key features of this range are its resistance to corrosion, its added security through its security screw and the wide range of finishes available that give the door a unique top quality appearance. The Easy 3D range of hinges cover most applications and five different profiles. They are easy to install and adjust in 3 dimensions to better distribute weight. Awarded CE certification and suitable for use on fire doors, the hinge can support loads of up to 160kg. Its extremely high resistance to corrosion, the security screw fitted to each hinge and the wide range of finishes available give the door a unique top quality appearance. 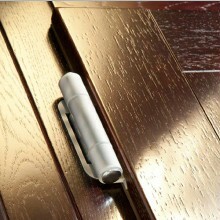 The Easy 3D-S is the new hinge for doors with raised features. It has been designed by SFS intec to meet the needs of window and internal door manufacturers, where the key points are design, ease-of-use, colour options and easy adjustment. The Easy 3D-S is very simple to install with or without seals. The hinge has lift-off intruder protection and can be adjusted in three directions with a single allend key from the front after door hanging (0/+2mm in height, +/-2mm horizontal and +/-4mm gasket pressure). 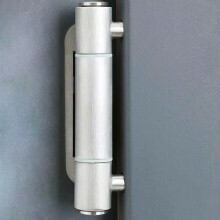 The hinges offer a high load bearing capacity of 60-80kg. The Easy 3D inox hinge has been designed to meet the needs of those who want a modern and contemporary look such as satin polished stainless steel. Easy to assemble and adjust, the typical features of this hinge are combined with the modern touch of satin polished stainless steel. 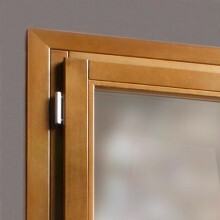 New energy-saving trends and increasingly heavier doors, call for top performing certified hinges. Our Easy 3D hinge was awarded CE certification by the IFT Institute in Rosenheim, who also certified it to be suitable for use on fire doors. Plus, it can support loads up to 160 Kg, which makes it the optimal solution for all kinds of needs. The use of special 3-step bolts, a patent developed by SFS intec, ensures extraction resistance levels of over 1500 Kg, which guarantees steady fixing of the hinge on any type of profile.